Please click on the Ad for more information and to purchase tickets! October's First Guest Announcement is Here! Children and Adults beware for your worst nightmares are about to come true. Yes that Right! Ghosts and Goblins, Vampires and Zombies, Serial Killers and Space Aliens, Ghouls and Creatures from Every Corner of the Universe are about to descend upon Orlando once again for it is that time of the year. To ring in the Halloween Spirits, Petey and Gina Mongelli bring together the most freakish and awesome annual gathering of spectacles you can imagine and you’re invited to attend the 2018 Spooky Empire Ultimate Horror Weekend at the Caribe Royale Orlando. That’s Right, A New Hotel with Plenty of Parking!!! Spooky Empire, the company that hosts one of the most coveted and recognizable thriller conventions in the nation, announces its first guest of the season, actor David Duchovny, most recognized for his leading role on FOX’s hit TV series and later movie theater sensation, The X-Files. Duchovny is also known for his role as Hank Moody on Showtime’s Emmy and Golden Globe award-wining series Californication. This year’s convention will celebrate its sweet sixteen on October 26 – 28, 2018 at its new host hotel, Caribe Royale Orlando Resort. Duchovny will make a ONE-DAY ONLY appearance on Saturday, October 27th, which will mark his first and only Florida appearance. Caribe Royale Orlando is a resort-style hotel that lives up to its name. The property entrance is grand with a Caribbean-like landscape and has been designed in a way to minimize the distance that guests have to walk. Accommodations available for guests are suites or villas with plush bedding, spacious quarters and wireless internet. The most attractive amenity is its waterfall swimming pool featuring a 75-foot waterslide and two whirlpools. As a bonus to the Spooky Empire family, doors will open earlier again this year on Friday, October 26 at 1 p.m. to begin the weekend-long festivities. The weekend will feature an array of activities including a tattoo festival, film festival, celebrity autographs, Kid’s Zone, costume and cosplay contest, huge exhibitor room, live music, performances, Q & A’s with artists, authors and filmmakers, seminars, among many other activities. All advance tickets, now on sale, are discounted. 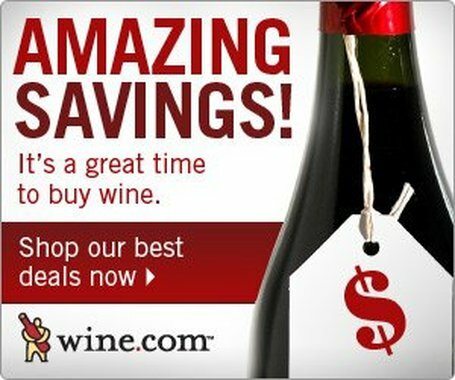 Prices increase after October 7th and at the door. In advance, three-day passes are $60, one day passes on Friday and Sunday are $30, and one day passes on Saturday $35. Limited VIP Packages are available and start at $225 and include early entry to all three days, raffles, T-shirts, autograph line fast-pass, exclusive VIP party access on Saturday night with guest celebrities in attendance. A special package for David Duchovny is also available. Tickets for children under ten years old are free. As the full schedule has not been finalized, below is a glimpse of what you’re in for. The Caribe Royale has extended it's date to get a special rate of $135 / night to all Spooky attendees. Just mention "Spooky Empire" when you call or go online to reserve or your room. The Fort Lauderdale International Film Festival Is ONGOING in Fort Lauderdale and Hollywood Fl. ​Since 1986, the Fort Lauderdale International Film Festival (FLiFF) has introduced some of the finest American independent and foreign language films to South Florida audiences. FLiFF has honored many industry greats, including Audrey Hepburn, Peter Bogdanovich, Kevin Spacey and Jane Lynch. The Festival has also spotted many promising actors on the verge of becoming stars, such as Jeremy Renner. October 27 - November 19, 2017. We are proud to present our 2018 Official Festival Poster created by Miami Herald and Pulitzer Prize-winning editorial cartoonist Jim Morin! The Miami Film Festival is a charity that connects art with audiences, and fosters a value for cinema for future generations. Help them achieve their 365-days-per-year goal by making a 100% tax-deductible donation to the fund at Miami Dade College Foundation. Every dollar you donate will be matched by Miami Film Society. The Festival was founded by the non-profit Film Society of Miami, Inc. Since its first edition, which opened on February 3, 1984, films have been screened in a variety of theaters throughout the greater Miami area. By the sixth Festival in 1989, the Olympia Theater at the Gusman Center had become the official residence. As the 1990s drew to a close, administration of the Festival was transferred Florida International University for a brief period, and then in October 2003 to Miami Dade College (MDC), where it has remained since. MDC has led the Festival through a period of tremendous growth and expansion, where it also become known under its other official name, Miami International Film Festival, and shifted its event dates to annually open on the first Friday in March, and run for 10 concurrent days. The Festival’s programming voice, unique among U.S. film festivals, has gained recognition for its numerous discoveries, and has given out more than $1 million in cash awards to both established and emerging filmmakers. Official Festival venues expanded to, Regal South Beach Cinemas, MDC’s Tower Theater Miami, Colony Theatre, Miami Beach Cinematheque, Coral Gables Art Cinema, O Cinema, Cinepolis, and Wynwood Walls. Annual attendance and media impressions have grown steadily thoughout the 2010’s. In 2015, the Festival introduced “GEMS” a second permanent festival to its annual activities, a 4-day event to present the “jewels” of the fall season. GEMS is held annually in October, exclusively at Tower Theater Miami. The Festival has hosted and introduced a diverse group of filmmakers including renowned filmmakers Pedro Almodóvar, Andrea Arnold, Amma Asante, Hector Babenco, Luc Besson, Susanne Bier, Bertrand Blier, Juan Carlos Campanella, Joel & Ethan Coen, Alfonso Cuarón, Terence Davies, Sam Fuller, Alex de la Iglesia, Jonathan Demme, Abel Ferrara, David Frankel, Andy Garcia, Patricio Guzmán, Werner Herzog, Steve James, Lawrence Kasdan, Spike Lee, Phil Lord, Lucrecia Martel, François Ozon, Jose Padilha, Patricia Riggen, Ira Sachs, John Sayles, Carlos Sorin, Morgan Spurlock, Pablo Trapero, Fernando Trueba, Liv Ullman, Paul Verhoeven, Denis Villeneuve, Margarethe von Trotta, and Wim Wenders. Stars that have graced our red carpet through the years include Gregory Peck, Sofia Loren, Kris Kristofferson, Candice Bergen, Kevin Kline, Michael Caine, Antonio Banderas, Melanie Griffith, Willem Dafoe, Demi Moore, Amy Irving, Patricia Clarkson, Chris Cooper, Catherine Keener, William Macy, Geraldine Chaplin, Armand Assante, Sarah Jessica Parker, Rosie Perez, Sylvester Stallone, Viggo Mortensen, Kate Hudson, Helen Hunt, Jeff Goldblum, Jonathan Pryce, Ricardo Darin, Rodrigo Santoro, Luis Tosar, Gloria Estefan, Kate del Castillo, Danny Glover, Julie Hagerty, Lori Singer, Jorge Sanz, Ashton Kutcher, Lena Olin, James Cromwell, Eugenio Derbez, Carrie-Anne Moss, Ariadna Gil, Don McKellar, Gonzalo Vega, Alfredo Castro, Javier Camara, Eduardo Noreiga, Sandrine Bonnaire, Shirley MacLaine, Christopher Plummer, and Anne Hathaway, among many other big names and bright lights. Domestic US theatrical distributors and broadcasters participating in the Festival have included 20th Century Fox, Warner Bros., The Weinstein Company, Sony Pictures Classics, A24, Focus Features, Fox Searchlight, Music Box Films, IFC, Sundance Selects, Kino Lorber, Oscilliscope, HBO, HBO Documentary Films, HBO Latino, and Miramax, among many others. The Miami Media and Film Market is an intensive, industry business training and creative development initiative presented by the Latin Chamber of Commerce of the United States, CAMACOL. The program is for Film & TV industry representatives from all disciplines (development, production, post-production, special effects, sales, distribution, marketing, finance, legal and business affairs), as well as representatives from the creative sectors, and is designed to develop the practical knowledge, skills and high-level contacts needed to create and lead successful ventures. 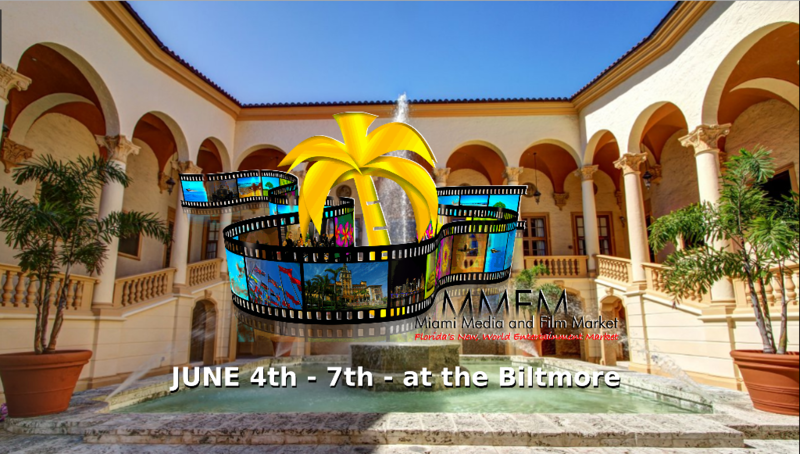 MMFM is a fast growing film and entertainment international co-production forum and marketplace focused on film, television and digital media, helping to bridge the gap between the global entertainment industry and diverse, fast growing, multi-cultural markets. This conference presents dynamic panels on the latest independent productions; co-productions and finance strategies; networking receptions and private meeting spaces to establish key business relationships and opportunities. Agenda includes the MMFM Producer’s Forum and Conference Series, featuring decision makers from diverse international markets. MMFM is the ideal place to pitch a project in a relaxed and boutique environment. MMFM also features master classes, coaching sessions, and nightly screenings. MMFM is designed to facilitate opportunities and the development of linkages among our guests, and also assist participants to embrace the challenges of new tomorrows, and celebrate the limitless bounty of our imagination. Please click on the Ad for more information and to Purchase Tickets and View The Winner's List!